The Mulraney Group have support WCC with helps with material and providing the premises. 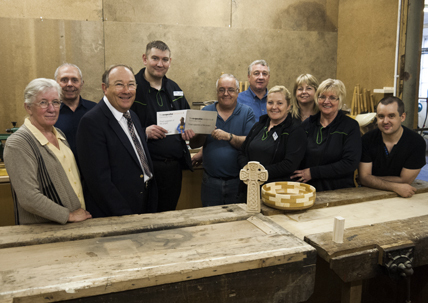 The Cooperative Bank Community Fund has supported with a grant to buy new wood lathes and ancillary equipment which help us to develop our group. This of course help us to help the community and benefits woodcrafters in the area. The CTSI has help the WCC with help in some of our funding and charity status application, They have given advice and help when needed and supported us well.